Every year, ALG and Canadian publication Canadian Black Book determine which vehicles have retained the largest percentage of their original MSRPs in the last four years. 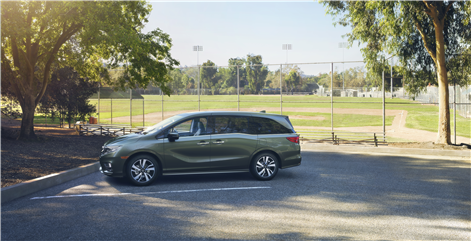 This year, four Honda models received top honors in their respective categories. The Honda Odyssey minivan won both an ALG (Best Residual Value) and a CBB (Best Value Retained) award in its segment. Three other ALG awards were awarded to the Honda Accord in the midsize car market, the Honda CR-V in the compact utility segment, and the Honda Fit in the subcompact segment. 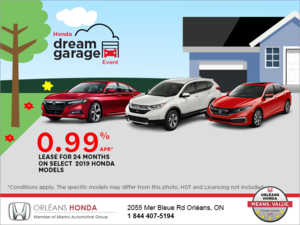 "Honda has developed a strong reputation for providing dependable vehicles Canadians can count on," said Jean Marc Leclerc, Vice President, Sales and Marketing. "We're grateful to CBB and ALG for recognizing Honda as a company that delivers quality vehicles Canadians can trust." These awards speak to the value offered by Honda vehicles, but also for their well-established reputation for reliability, fuel economy and safety, three elements that contribute to retaining resale and overall value. 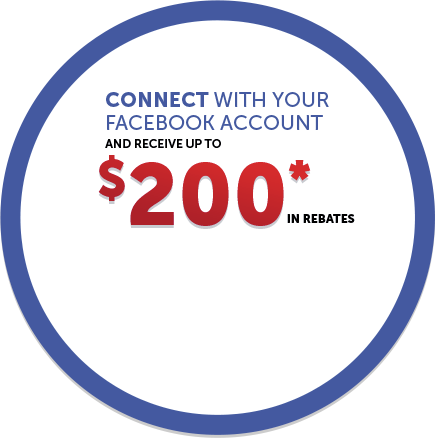 To learn more about new Honda new vehicles, contact us today at Orleans Honda!